Simple to understand and simple to use. 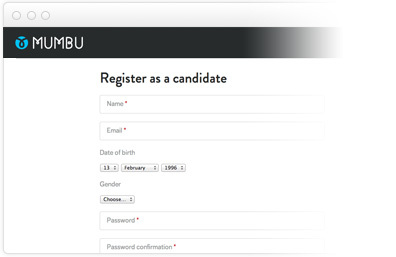 Signing up is quick, easy and engaging. No matter who you are, you've got nothing to lose to find out what great opportunities are on your doorstep. 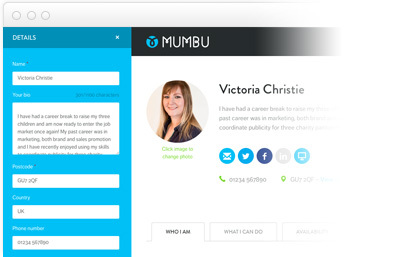 Mumbu lets you build a profile in a unique way, focusing on personality, attitude and lifestyle. There is no CV. It's fun, different and gives you an easy way to showcase your skills. 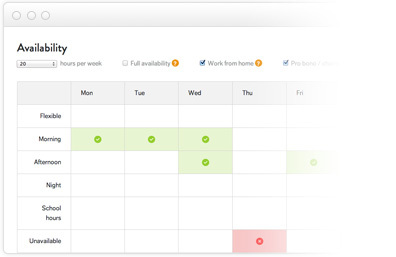 Whether full-time, part-time or just a few hours a week, Mumbu lets you manage your availability at all times giving you the flexibility to fit around family life. You have total control of when and how people find you. Privacy is a top priority at all times, allowing you to decide which businesses fit your aspirations. Each connection is valued more, because it's private. 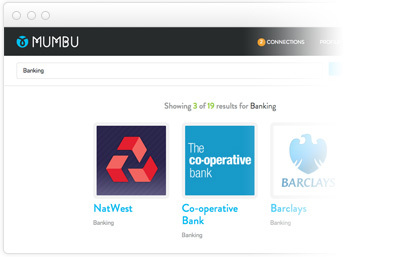 Very quickly, you can be connected with a number businesses on your doorstep. 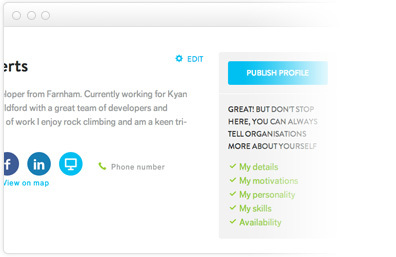 Using the dashboard, you can manage who and how you work with, to suit your availability and skillset.